Microsoft Teams could be the new Slack competitor. As previously reported, Microsoft is working on “Skype Teams,” which will provide similar services and features as Slack app. Now new reports are coming that “Skype Team” could be named at “Microsoft Teams”. Previously, the internal beta test login page for the service could be found at teams.skype.com. But now the URL is redirecting to teams.microsoft.com, with new branding under “Microsoft Teams”. This gives us a hint that new brand will replace ‘Skype Teams’. 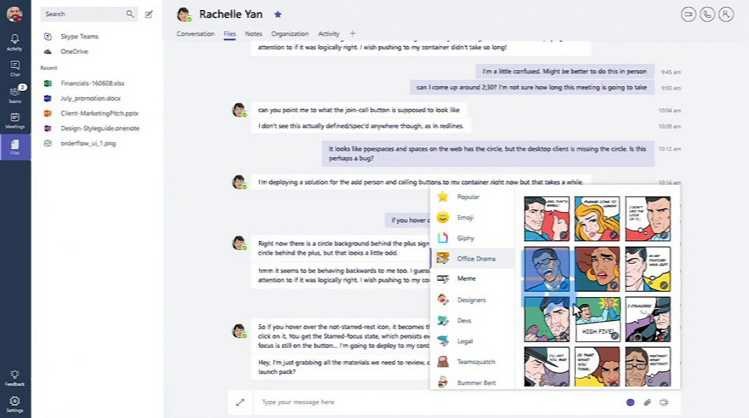 Microsoft Teams service is a team communication tool which includes conversations grouped by “channels,” and users can directly message each other. The app will integrate other Microsoft services like Word, Excel, PowerPoint, and OneDrive. Microsoft Teams will also allow users to perform video and audio calls to multiple people at the same time. The company might announce new app at in Office event next month. Microsoft is also holding an event on October 26. Where the company may announce its first Surface Stadio AIO PC and other devices.